Discovery Foundation Awards week two. This week we are in KwaZulu Natal, photographing doctors at various regional and district hospitals. 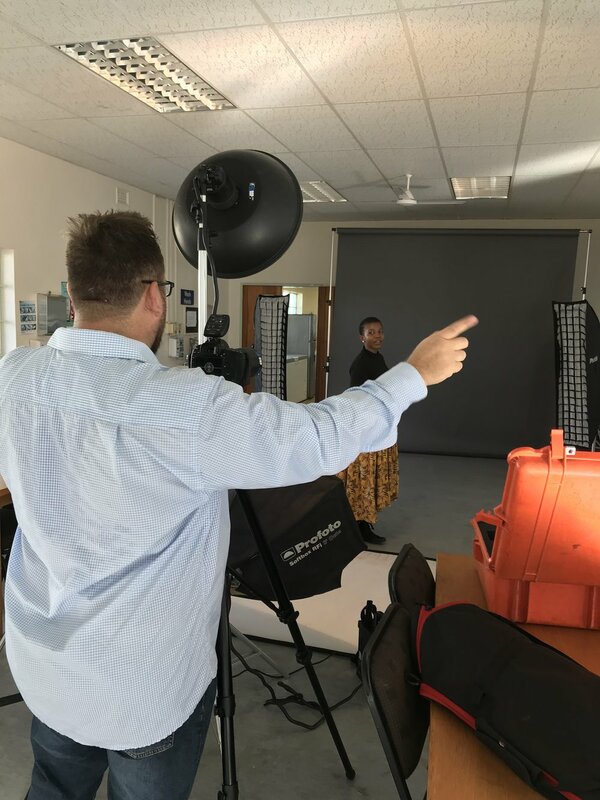 The KwaZulu Natal Health Department has some very helpful people in the communications and public relations fields who have been assisting us in getting permission to photograph doctors and patients in their facilities. We are staying at Jakita's Guest House in Ballito - absolutely wonderful - you can book your Ballito stay at Booking.com. The Discovery Foundation will soon be publishing a new set of their wonderful books on the remarkable South African doctors who recently received Discovery Foundation Awards for commitment and excellence in various fields. We are travelling all over the country to photograph these amazing people, taking both formal portraits and trailing the doctors around the hospitals, clinics and laboratories to capture a glimpse of what their work is really all about. We kicked off the project last week in Gauteng, with three photoshoots in three days and a portrait shoot at the SunshineCo Jozi studio over the weekend. The gas heaters they provided kept us all toasty during the early morning cold snap and were much appreciated by the doctors - not to mention the photographer! This week we are shooting in KwaZulu Natal - we'll keep you posted.